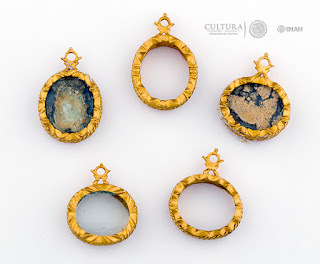 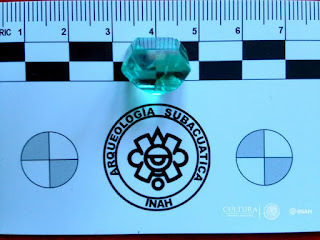 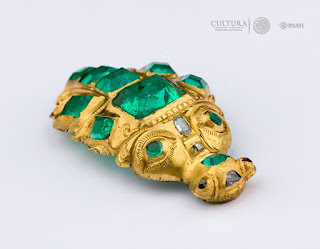 Mexico’s National Institute of Anthropology and History (INAH) has announced in a statement that a team of underwater archaeologists exploring in the Caribbean found a priceless shipment of jewels from the 18th century. The discovery is being given top billing at the recently inaugurated Museum of Underwater Archaeology, located in Campeche. 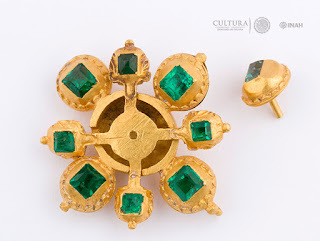 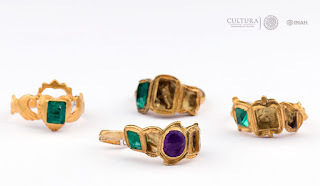 It’s believed that the jewels, likely intended for sale to affluent Spaniards, were lost when a ship went down in the strong currents that converge off the Yucatán coast. 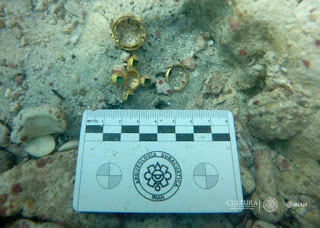 This is the first time that professional underwater archaeologists have discovered artifacts of this sort in Mexico. 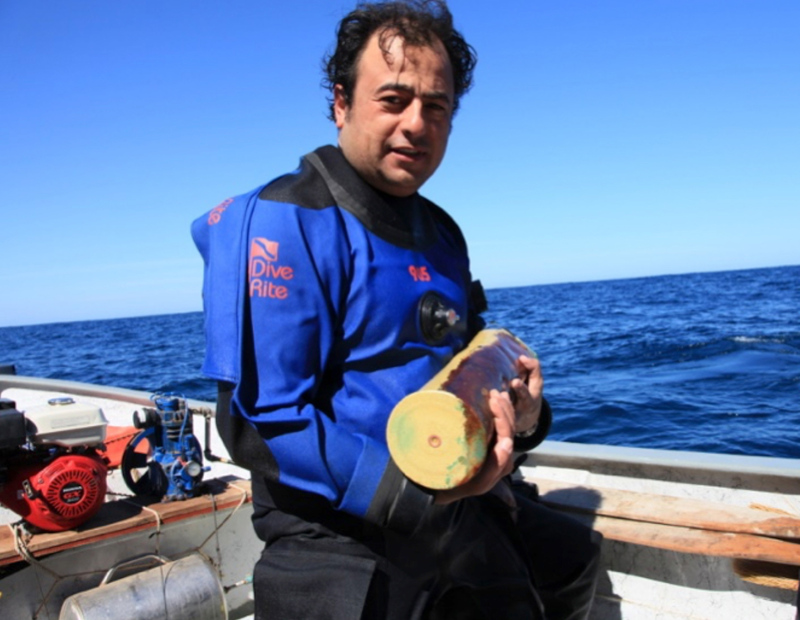 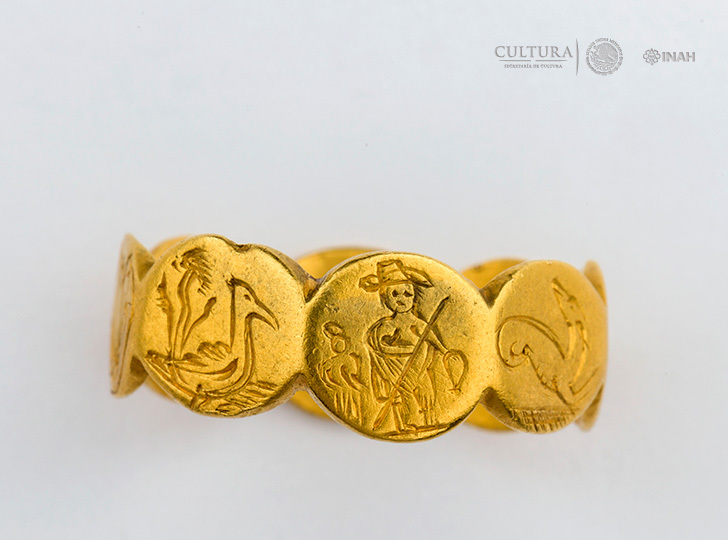 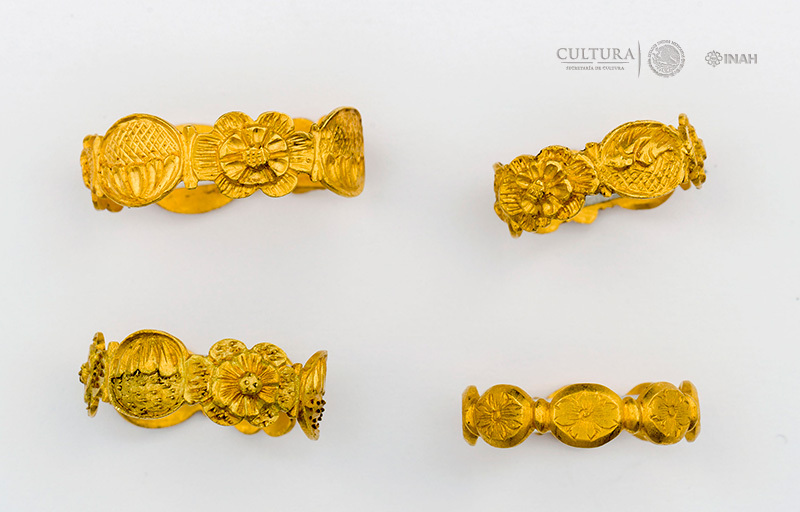 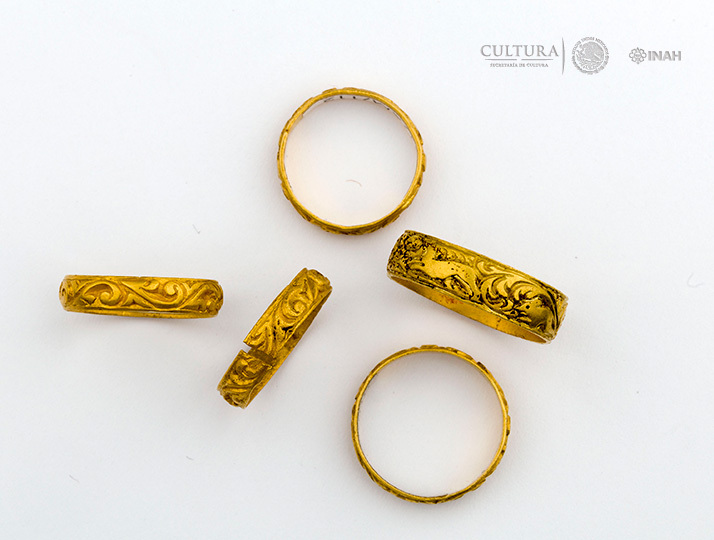 The treasure was discovered by Roberto Junco Sánchez, sub-director of underwater archaeology at INAH, who said that in total 321 piece of gold were recovered. Included among these were 83 rings, as well as toothpicks, charms, rosary beads, medals, emerald broaches and crosses, and five medallions and reliquaries. 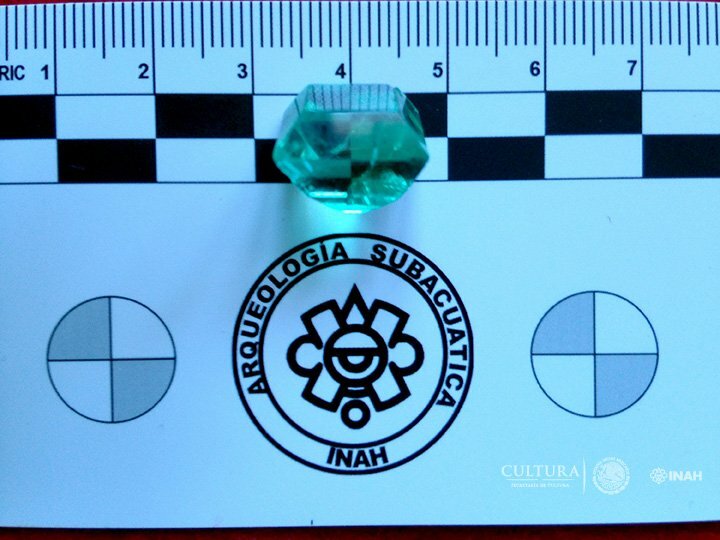 Perhaps the most impressive aspect of the find wasn’t the gold, but the emeralds. The jewels shed light on the intense economic activity of high-value items that occurred between the vice-royalties of the Spanish Crown.